The Elder Scrolls: Legends – Alliance War has released today for The Elder Scroll: Legends on PC, iOS and Android. 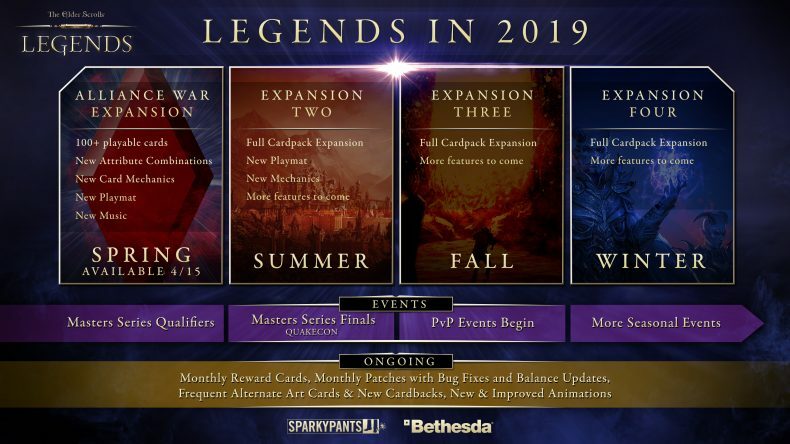 Inspired by the war of the alliances that rage on within Elder Scrolls Online, players can now enter the all-out brawl between the five alliances that are vying for the Ruby Throne. There are over 100 new cards, five new card colour combinations, four new mechanics and a new gameboard for players to get to grips with, offering perhaps the biggest opportunity to change the meta in the game’s history.